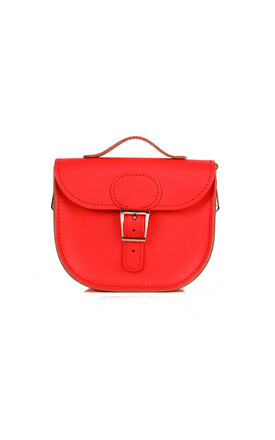 Brit-Stitch's smallest daytime bag, the Half-Pint is perfect for travelling light. Their small leather satchel bag features a detachable, adjustable strap, magnetic fastening, inner pocket and cute top handle. 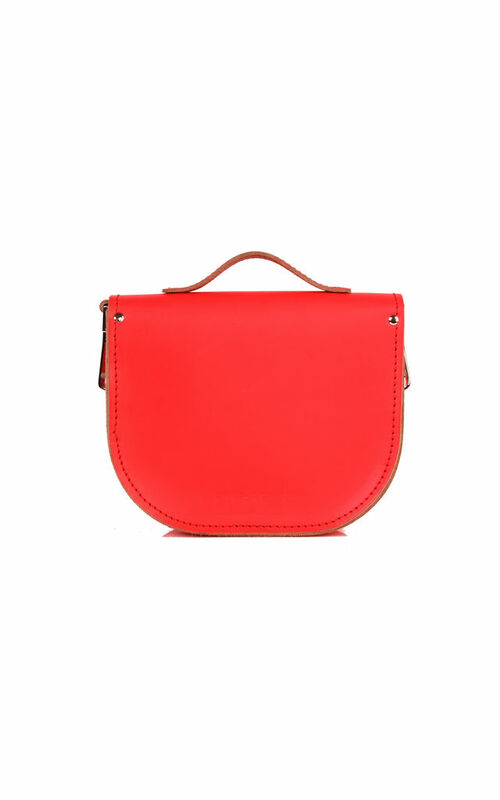 This leather cross body bag is handmade in the UK. You are sure to find it in the perfect shade to complete your look! 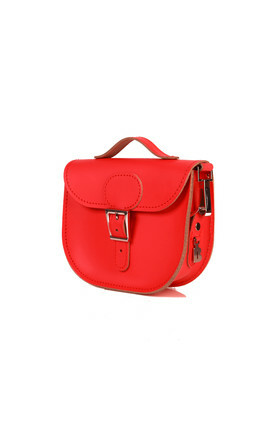 Available in a rainbow of colours including this bright poppy red. 200mm wide x 65mm deep x 170mm tall excluding handle.